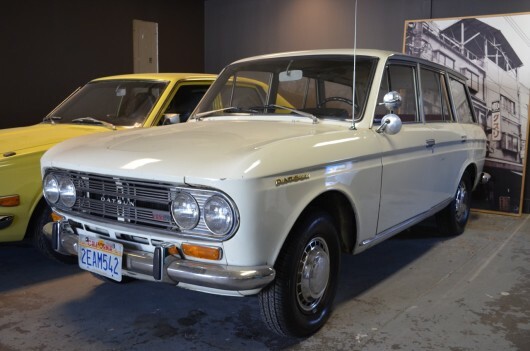 Found here on Nissan Forum is a very clean ’67 Datsun 411 Wagon. The original white paint shows a nice patina that still shines. The red vinyl seats have been recovered and offer good support. The rest of the interior is original and in very nice condition. The 1600 Fairlady four fires up and runs nicely through twin side-draft carbs. The column shifted automatic transmission shifts well in all gears. The car is badged as an SSS however I haven’t been able to find proof of a factory SSS wagon having been produced. The larger engine is present so this may be more appropriately called a 411 1600 wagon. The car has received a recent tune up and is ready to be driven. Asking $9500 or best offer. Feel free to email with questions. The car is in Athens, GA with a clear title.